It’s 4:47 on a Friday afternoon and you can’t seem to take your eyes off of the clock. You watch it click, click, click, counting down every minute until your weekend freedom begins. It’s frustrating, unproductive, and kind of keeps you from doing anything else until quitting time. 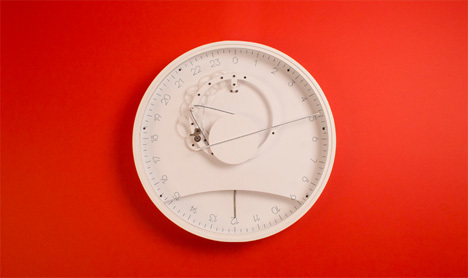 The Slowclock from design collective Factil and Mercé Nuñez encourages a slightly more relaxed view of time. Rather than having hands for hours, minutes and seconds, the Slowclock employs just one hand: an hour hand that advances very, very slowly. The face features a 24-hour format and the hand makes one complete revolution per day. That’s one click forward every five minutes. The designers’ goal wasn’t exactly to praise slowness or to encourage people to slow their lives. They wanted to explore the meaning and significance of time. 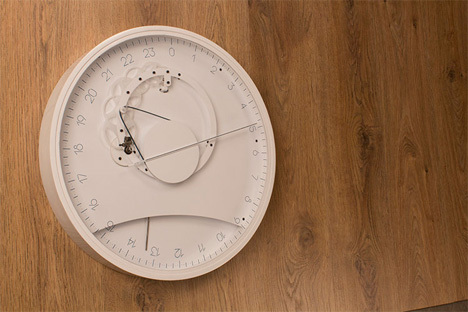 To that end, they have also equipped the clock with a wind-up mechanism and small pendulum. 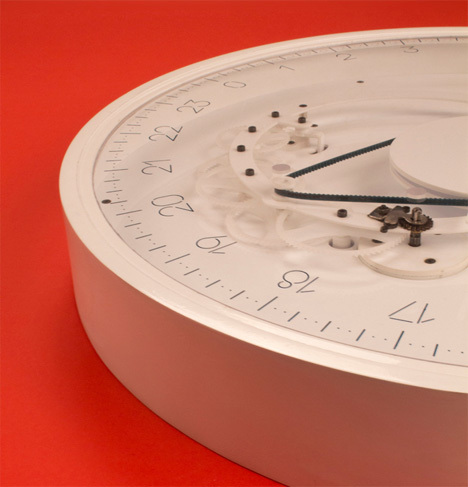 The pendulum swings constantly, providing a visual and conceptual contrast to the extremely slow-moving clock hand.